Resource riches, an unmatched entrepreneurial spirit, innovative research, major industry-leading employers and a rapidly growing population help drive Grande Prairie’s thriving commercial growth. 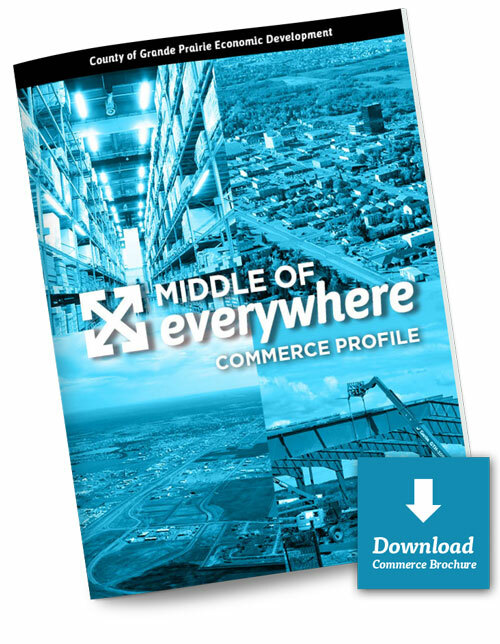 The city of Grande Prairie is the hub of commerce in the region, with an expected population increase averaging 2.5% in the next 10 years, nearly doubling the provincial average. The already-high average household income is also expected to rise over 40% in the next decade, from $107,026 to $150,149. Within the city of Grande Prairie, consumer spending is highest in grocery and drug; coffee, café, and fast food; full-service restaurants; and professional and financial services. 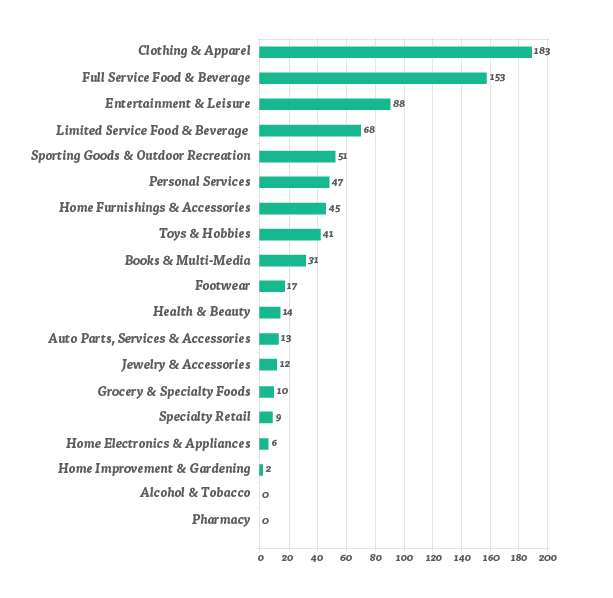 Baby boomers spend the most in nearly all retail categories within Grande Prairie, spending less only in entertainment, fitness and day spa, pet supplies and services, specialty retail, and sporting goods. The younger age cohorts (18-34 years, and 35-54 years) would like to see more offerings to increase spending. Retail spending in Alberta has risen significantly between 2013 and 2014, from just over $6 billion to over $6.4 billion (an increase of 6.5%). While some of this growth is due to inflation, higher wages and greater job opportunities have contributed to a notable rise in consumer confidence in the province. Download the PDF for more details about the commercial opportunities in the County of Grande Prairie. 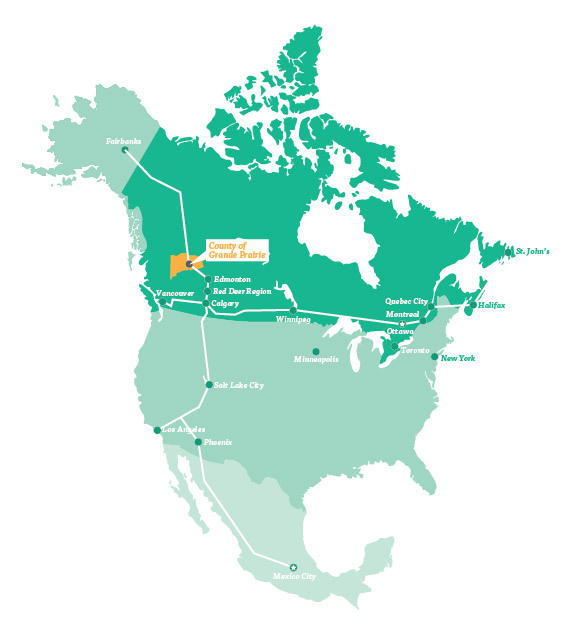 The Philip J. Currie Dinosaur Museum is an international institute for experiential learning dedicated to northern Alberta’s strong palaeontological heritage, through research, collection, preservation, exhibition, public programming, publications and innovative outreach. The museum is slated to open in fall 2015. Visit curriemuseum.ca to learn more. 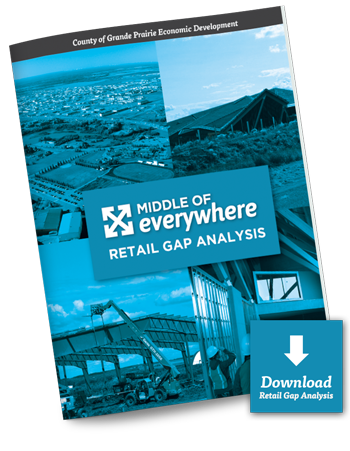 The County of Grande Prairie commissioned Cushing Terrell Architecture Inc. December 2014 to conduct a Retail Market Analysis for the County’s retail sector. 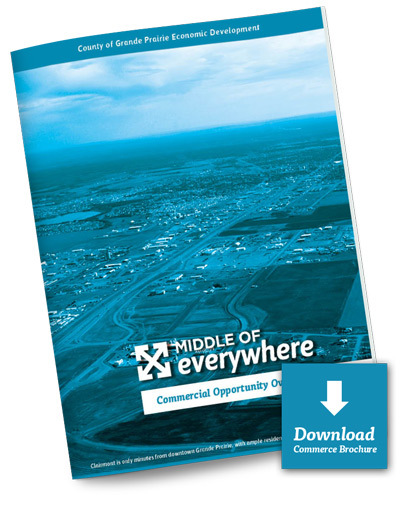 Download the PDF for more details about the commercial opportunities in the County of Grande Prairie. May We Send You Information?